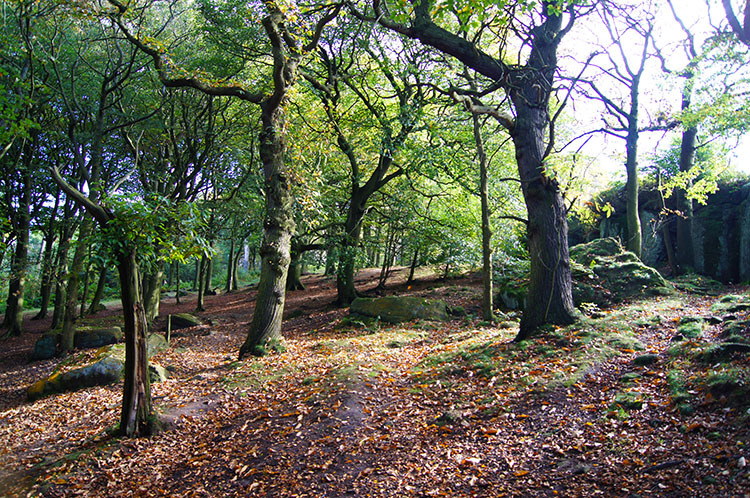 Summary: The many walks on offer on the Chevin are so convenient for those living in the North Leeds and North Bradford areas. The Chevin is just one mile away from Leeds Bradford airport and on a clear day you can see Simons Seat, Norwood Top, Almscliffe Crag and the White Horse near Sutton Bank from the path running along the top edge. That is more than enough to take away the stresses of city life! 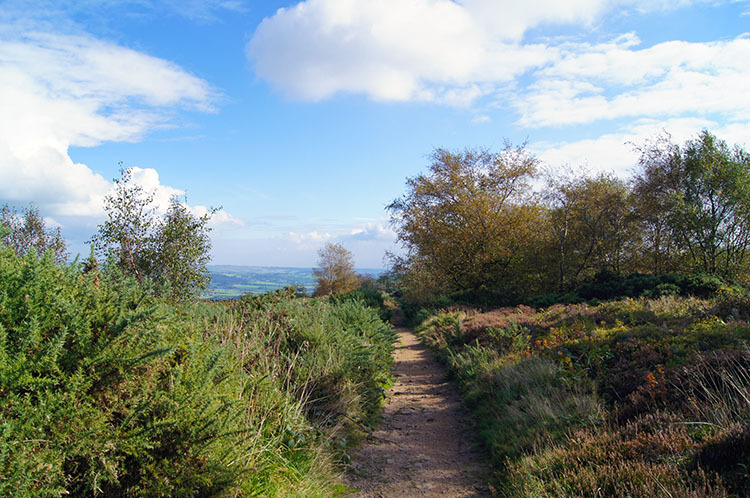 And what is even better is the range of walks in the Chevin area. There are lots of paths that offer walks for every ability, from short flat woodland strolls to strenuous hikes that include steep climbs. There are usually mobile caterers on site and the local Royalty pub (if not the many Inns in Otley) for those in need of refreshments. 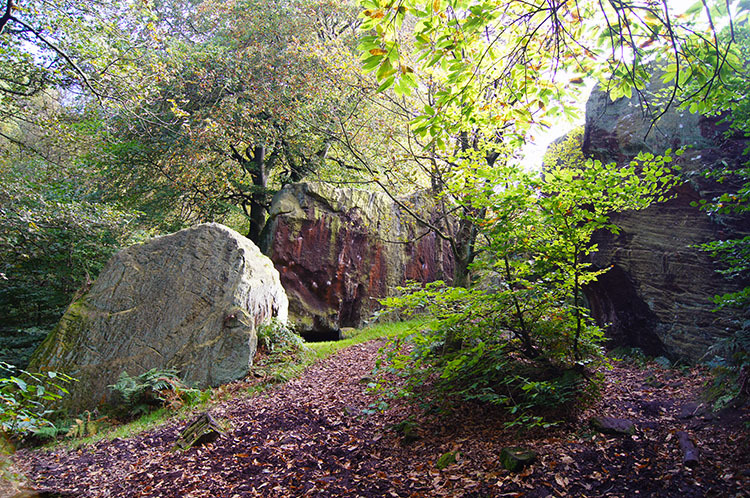 All in all the Chevin area is a compact local heaven for every lover of the outdoors. 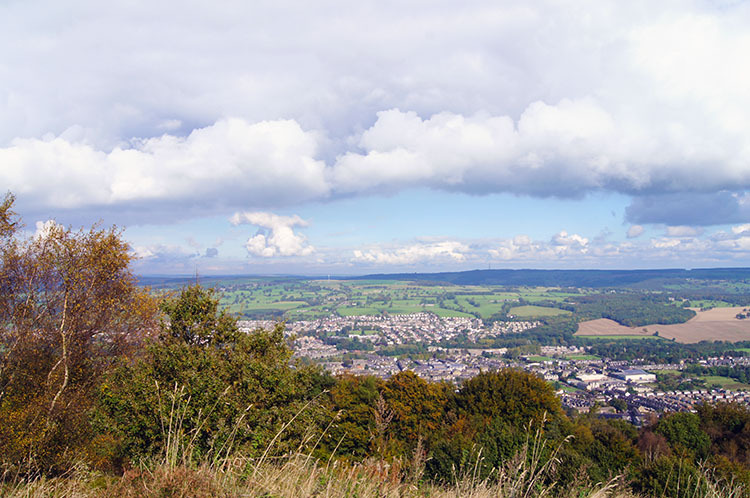 My Chevin walk begins at Surprise View from where I took the photograph of Otley shown above. The walk was conceived as a lunchtime break and is therefore unusually short. It does the job in getting the lungs working though. Start out by turning to your right along the path from the car park and walking east. 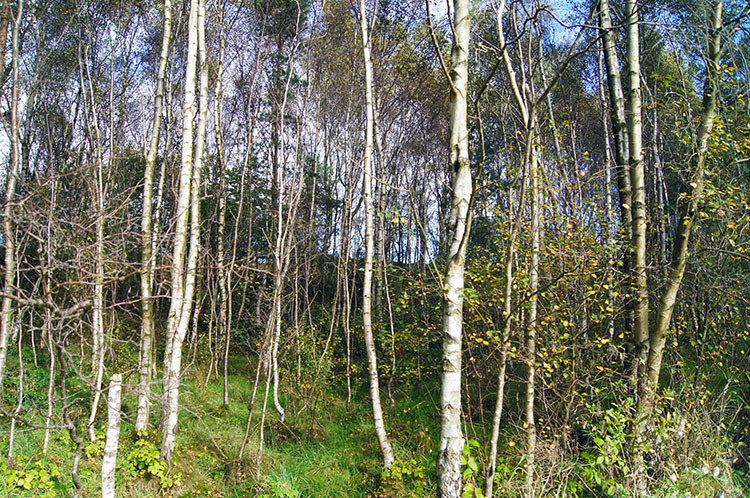 Enjoy the pleasant level gradient walking until just before reaching East Chevin Road as there is a descent coming up. Do not cross the road though, instead walking beside the road down the hill past Danefield House before cutting in left and heading west along a track which runs parallel to the one you set off from. Follow the path heading due west for a complete mile. You will not see any views other than the immediate woodland on this stretch of the walk as the views are tantalisingly waiting on the path above. Do not worry, the woodland is great to walk through though, especially in summer with a host of Butterflies and Woodland Birds to keep you occupied. The panoramic and great distance views will not go away, they wait above. Eventually the lower path ends when you turn left and climb uphill towards Woodlands Farm. You do not go to the farm though as that is beside the York Gate Road and we are staying in the woodland. Walk past some very large scattered rocks, not erratics from an ice age but survivors of defunct quarrying work. Head east on a path near the stone wall to Yorkgate Quarry. 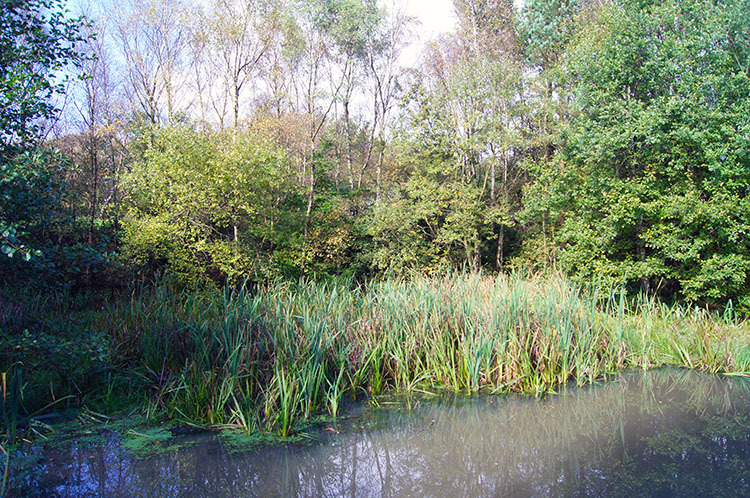 Seek out the pond on the old site which is now Chevin Forest Park Nature Reserve. 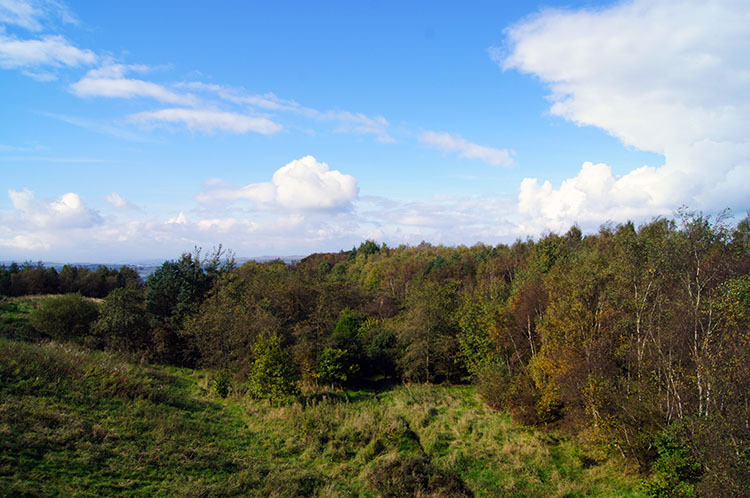 From Chevin Forest Park Nature Reserve continue east back to Surprise View. Now, on the finale to the walk is the time to linger and enjoy the stunning views. 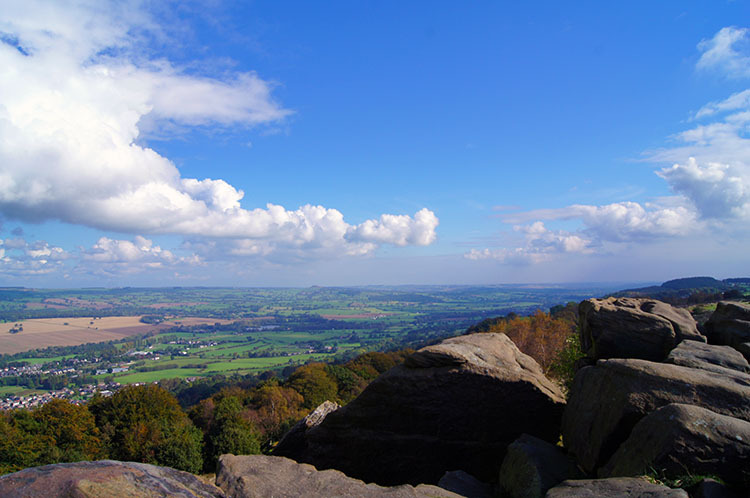 Particularly those north and east across Wharfedale to Norwood with its transmitter pylon and to Almscliffe Crag near to the Pool in Wharfedale to Harrogate road. On a clear day it is stupendous as it was when I took the picture from the rocks on the top path shown above. Dwell some more at Surprise View and soak it in. The walk is over, well done.